They say the best things in life are free—including a wealth of glowing reviews from happy patients. 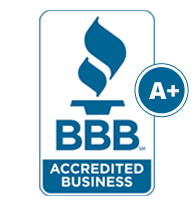 Google My Business can be your go-to source for those crucial reputation builders. It can also be your competitor’s sharpest edge. The good news is, you don’t need to be a tech whiz to make Google My Business work for you. We’ll show you how to use this somewhat fickle, but highly effective tool to boost your digital visibility and promote your professional expertise. Credibility converts, so it’s worth investing some time into putting your expertise on Google display for all those future patients to see. Believe it or not, 80% of local business searches happen on mobile devices. That’s a lot of potential patients. Somewhere between commuting to work, gulping down lunch, winding through the check-out lane, or running to beat the school bell, your future patients are searching for you on their cell phones. Whether they’re checking symptoms or seeking a specialist, they need to find a healthcare provider with a credibility – now. The bad news? People who like to vent also want to do it now. But don’t let them throw you—we’ll show you how to maximize positive patient feedback that’ll push those few bad apples out of view, so they can’t discourage future conversions. Let’s focus on the majority of your patients – the ones who are impressed by, and thankful for your vast medical knowledge, your stellar diagnostic abilities, and your heartwarming bedside manner. So many doctors lose a potential reputation boost by not requesting reviews—or by offering no review page at all. That moment when patients are elated after getting a result, experiencing pain relief, or learning a valuable health tip is the moment to capture their review. Make it easy for them to post. Minimize their friction, as the user-experience gurus call it. Don’t let confusing click-hassles jolt them out of their joy. Users have about three seconds of patience before clicking away. 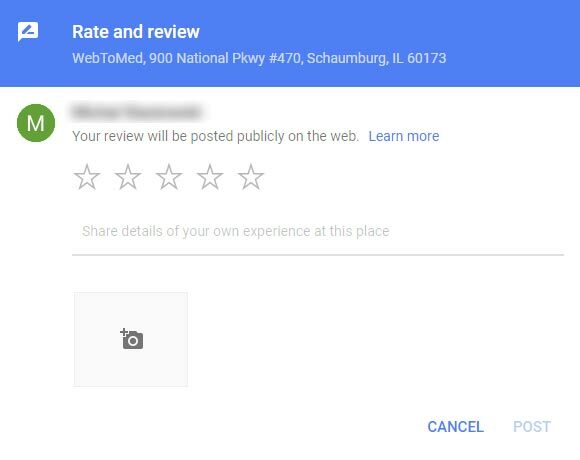 By offering a simple, one-click review solution you’ll optimize your odds of earning those positive reviews that make your practice a place patients feel privileged to visit – and max out your appointment schedule. Ready to boost your practice to the next level? 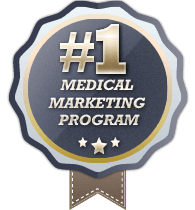 We’re about to show you a fast, easy way to engage patients, earn 5 star reviews, build your online credibility, and expand your practice. Get the Place ID for your business by clicking on Google Places API. Type your business information in the “Enter a location” field at the top of the map. Click your business name in the drop-down list that appears. Find your Place ID which appears on the map beneath your business name. Send your happy patients follow-up emails thanking them for their reviews. A little appreciation goes a long way! It’s as simple as that – now patients can just click to open a browser window and add their shining review of your spectacular services! Ask right away. When patients compliment you, politely ask them to put that praise into writing on your review page. Most people are happy to, so be sure to ask them before they leave your office and return to their distraction-laden day. Follow up immediately. 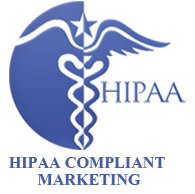 Send patients an email right away. Make sure your large, bold-colored review link is near the top of the email and easy to see. Many people will jot down a quick review before leaving your office, others will wait until they get home. After 24 hours however, response rates drop off, so capitalize on patient satisfaction at its highest. Follow our “3 Ones” rule. Ask patients to write one review, focusing on one positive aspect of their experience with a minimum of one sentence. Keep it authentic. Encourage your patients to be totally honest — the more authentic and conversational their comment, the more believable and reliable it will sound to your searching future patients. Keep it professional. Don’t ever offer patients perks, discounts, or special offers in exchange for positive feedback. It’s not just unprofessional—it could get your practice banned. That’s all there is to it! Go create your link and start collecting your well-deserved reviews. Need an online reputation expert with credibility – now? WebtoMed is your digital excavator. We’ll dig up answers to every tech or marketing roadblock that stands in the way of your stellar online reputation. Give us a call – we get a thrill out of troubleshooting, as you can see from the multiple reviews of our happy clients. Click here to start your journey toward happier, healthier patients and a five star medical practice.